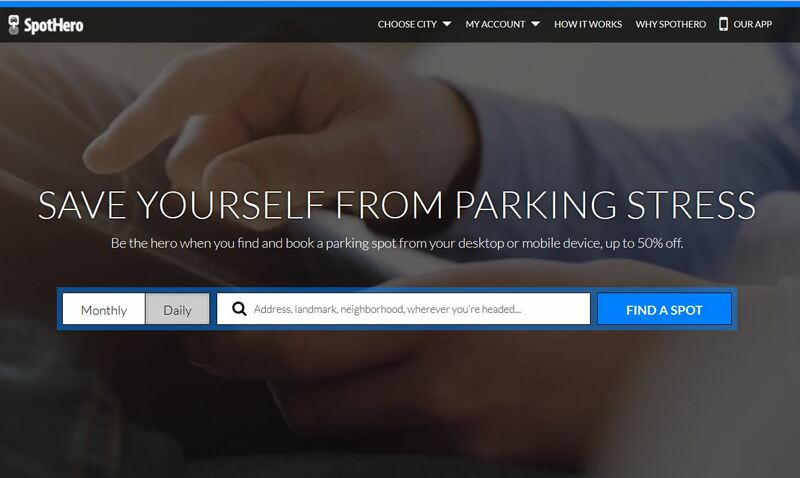 Find parking, compare rates & book a spot. Find parking, compare rates & book a spot for up to 50% off the drive-up rate. For worry-free garage parking that costs less, download SpotHero’s on-demand parking app today! What are drivers saying about SpotHero? * “I’ve used it 3x so far and have saved $40! It’s also very user friendly! More cities coming soon . . .